Essentially, fat plays a role in supporting the functioning of the body. But there is a kind of good and bad fats. Ideally is to continue to consume good fats and avoid bad fats. Fat that is potentially bad for body health is that many contain saturated fat and trans fat. Our body produces fat from excess calories that enter the body. There are also fats that we eat and function for the body's energy source, namely dietary fat (dietary fat). Food fats can come from both animals and plants. Aside from being a source of energy, other fat functions are helping to absorb some types of vitamins and minerals that enter the body. However, there is a bad side of fat, which contains high calories that can gain weight quickly if consumed in excess. Fat is formed from two types of molecules, namely fatty acids and glycerol. Type and level of fatty acid is what determines the impact of fat on your body. Saturated fats are a type of fat commonly derived from animals, such as poultry, red meat, and fat-rich dairy products. 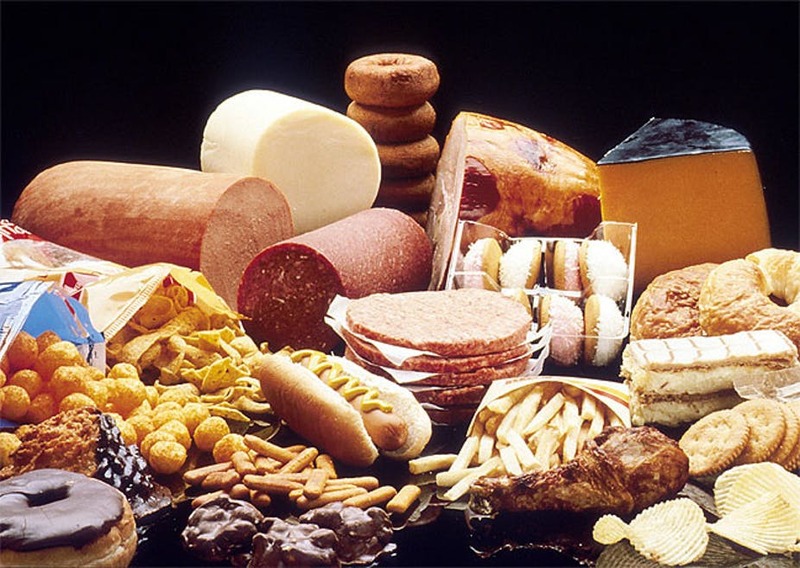 Saturated fat if consumed in excess can increase the risk of health problems, such as increased inflammation, the formation of plaque in the blood vessels, and insulin resistance. This over-saturated fat is closely linked to the risk of heart disease, stroke, and type 2 diabetes. This is due to an increase in "bad" cholesterol (LDL) levels in the blood. While fats from plants are generally unsaturated fats, although some of them also contain saturated fats, such as palm oil. Unsaturated fats are referred to as good fats because this type of fat is a fat that can increase levels of healthy fat (HDL) in the blood, and reduce levels of bad fats, such as cholesterol and triglycerides. Research shows that high levels of HDL in the blood can reduce the risk of heart disease, and excess cell damage due to inflammation. How can we get used to eating less saturated fat and more unsaturated fats? Here are some guidelines you can use. In general, men are advised not to consume more than 30 grams of saturated fat every day. While the maximum limit for women is 20 grams. With this guide, you can check and select foods by reading nutrition labels on the packaging. When going to buy meat, ask for cuts of meat with less fat. Remove the skin of the meat before it is processed and remove any visible fat. Choose dairy products with low fat content, such as yogurt or low fat milk, with 1 percent fat. When cooking, measure oil with a tablespoon before being poured into a frying pan to control how much to use. Change how to cook from frying to grilling, boiling, or steaming. Add fruits, vegetables, and nuts to your menu, and reduce the consumption of fatty meats. Specifically, you can use the following tips as a guide to make your food choices healthier. Buffet Meal: Choose a uniform to avoid saturated fats. Prioritize the choice of vegetable, fish, and chicken dishes compared to red meat. Piza: choose a pizza with healthier toppings, such as fish, shrimp, and vegetables, than cheese and red meat. Spaghetti: use low-fat minced meat as an alloy. French fries: cut into larger versions and use olive oil to fry them. Eggs: rather than fried, better boiled. Pasta: cheese or cream sauce has a higher saturated fat content than tomato sauce. Yogurt: choose low-fat and low-sugar levels. Coffee: choose regular packaging instead of milk and large volume. Snack foods: rather than chocolate, donuts, or biscuits, better choose fruits, nuts, and yogurt. In essence, to stay away from saturated fats, try to always choose unprocessed and more whole foods such as vegetables, fruits, fish, nuts, seeds, olive oil, cheese, and low-fat meat. In addition, the thing to remember is that illness does not only come from diet, but also from daily habits, including how to handle stress, exercise intensity, and hours of sleep.